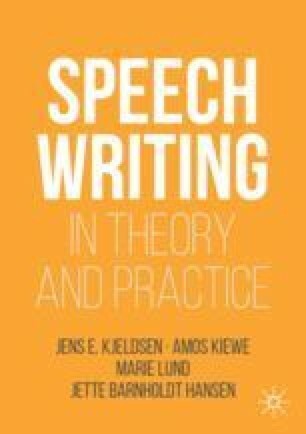 In this chapter, we introduce the practice of speechwriting by basing it on the classical foundation of the art of rhetoric. We acknowledge our indebtedness to Greek and Roman developments of rhetorical theories as foundational to the practice of speechwriting. We detail the depth and spread of the utility of speechwriting from ancient time to contemporary experiences. The chapter highlights the usefulness of speechwriting in the political and business arenas as primary areas where speechwriters can be found. The chapter also pays special attention to the anomaly between the technological advances that have come along to assist the practice of speaking in public and the high degree to which the art of public speaking has not changed much since antiquity.